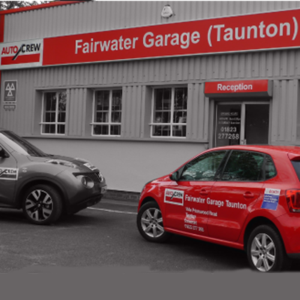 Fairwater Garage is located in Taunton, Somerset. We are an MOT Test Station that offer all types of garage services including MOT testing, vehicle servicing and repairs and car diagnostics. We specialise in Renault vehicles. Fairwater Garage Taunton has built up an admirable reputation due to our professional, outstanding quality service and customer care. We have been trading for over 20 years which enables us to guarantee your vehicle will be serviced and repaired to the highest possible standard. Whether it's for a major car service, MOT or just for car advice you will be assured of excellent service and polite prompt attention. Fairwater Garage is one of Taunton's leading independent car service and repair garages. With seven qualified vehicle technicians, we are able to offer all types of car servicing and repairs on all makes and models of cars including Renault, Volkswagen, Ford, Toyota, Audi, Nissan, Honda, Vauxhall, BMW, Peugeot, Skoda, Seat etc. We have two MOT test lanes and can combine your service with your car's annual MOT test. First class service by Fairwater Garage, I was kept informed of my repair throughout and a small additional cost was discussed and agreed before garage carried out the work. They also resolved a steering issue at no extra cost and identified a problem noise I asked them about at no extra cost with a solution to put right... To top it all when I collected my car it had been washed and polished. A fabulous service first class garage and will use again without hesitation. A credit to whocanfixmycar.com..